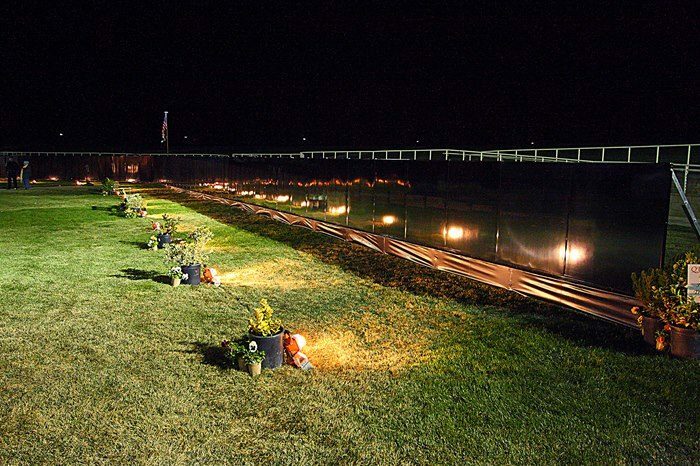 The AV Wall is a half-scale size tribute monument of the Vietnam War Memorial in Washington, D.C. It is cared for by Point Man Antelope Valley (PMAV), a veterans outreach organization that ministers to veterans of all wars. PMAV is a non-profit, faith-based 501(c)(3) autonomous organization that is fully financed by donations. PMAV is under the umbrella of Point Man International Ministries (PMIM), Spring Brook, NY. It took four years to raise the $102,000 to fabricate the wall. Signs and Designs, Inc. of Palmdale was integral in the manufacturing and engraving of the wall. Each year, upon the release of additions and changes to the wall by the Department of Defense, Signs and Designs, Inc. updates our panels. Begin planning six to twelve months ahead of desired display dates. Rental fee as of 1/1/18 is $7,500. Hosts should expect an additional $3,000 – $5,000 in expenses for infrastructure, volunteer costs, security, insurance, etc. A grassy, park-like area with trees, if possible, makes an appropriate setting. The Wall is always displayed outdoors and is open to the public 24 hours/day. Our team will review and approve the location. Recommended display duration is four days. Host is responsible for building a sturdy, straight, and level structure as a platform for the AV Wall. It is recommended to use an engineer or contractor to accomplish this. The AV Wall is always the main display. Vendors are not allowed within the boundaries of the memorial setting. A strong volunteer workforce is critical. Approximately 50 volunteers are needed to work around the clock for a four day display. AV Wall provides detailed training two weeks before the display. Host is responsible for hiring a licensed and insured security guard from 10pm – 6am from the time the base is set up until it is disassembled. Host must list Point Man Antelope Valley as an additional insured on their insurance policy. For additional details, please contact us at (661) 524-6408.